There is flutter around the arrest of the seven-person human rights team consisting of lawyers, activists and journalists belonging to the Telangana Democratic Forum (TDF) and handing it over to the Chhattisgarh police on December 25 for investigation. 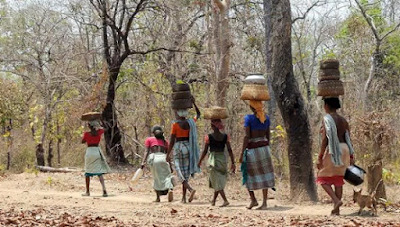 India’s premier human rights organization, People’s Union for Civil Liberties (PUCL), revealing details of the arrest of the team at Dummagudam village of Bhadrachalam district of Telangana, said, the arrest took place even as it was planning to visit Chhattisgarh to enquire into complaints of human rights violations suffered by adivasi villagers at the hands of security forces. Those who were arrested are Balla Ravindranath, advocate, High Court, Andhra Pradesh and Telangana; Chikkudu Prabhaker, advocate; Durga Prasad, journalist, Hyderabad; Duddu Prabhaker, president, Andhra Pradesh Kula Nirmulana Poratta Samiti; Rajendra Prasad of the Telangana Vidhyarthi Vedika; Nazeer of the Telangana Vidhyarthi Vedika; and activist Ramananda Lakshmay. They were kept under detention till about 6 pm on December 25, after which they were taken across the border and handed them over to Chhattisgarh police at Kunta police station. On December 26 morning, said PUCL in a signed statement by Dr V Suresh, national general secretary, and Ravi Kiran Jain, national president, all seven persons were produced before the Sukma court and remanded to custody under the Chhattisgarh State Public Security Act. “The Chhattisgarh police is reported to have informed the court that the seven persons were arrested in Chhattisgarh state”, it adds. The arrests have taken place against the backdrop of the National Human Rights Commission (NHRC) summoning the chief secretary of the Chhattisgarh government and the Inspector General of Police of Bastar, to explain the repression in the region.